It’s been ten days since I left the 2017 Mount Hermon Writers Conference. Yesterday morning was the first time I’ve had a chance to write since I was on the airplane. I could give you excuses, but excuse or not, I needed to allow myself time to decompress. So, before I venture into my world of women’s fiction, I thought I’d share ten take-away moments (I started calling them lessons, but didn’t want to deter anyone from reading). Preparation Paid Off. Since I’d spent forty days preparing my spirit, mind, and body for the conference, I was prepared for whatever Divine appointments God had in store. 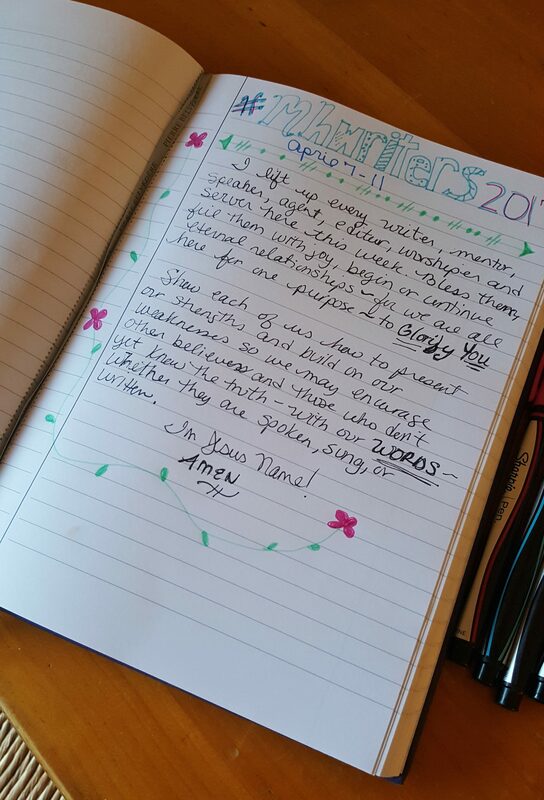 From the wild shuttle ride up the mountain on Day One, to the final push that confirmed a difficult, yet needed step I must take to move my writing goals forward on Day Six — I accepted each moment as a part of God’s guiding hand. Allow for Quiet Time with God. Though I didn’t realize it when I registered, I would have a room to myself until Friday when the main conference began. This led me to an awesome morning prayer time on Friday. I was well rested and ready to take on the following five days. But first, God laid a prayer on my heart for everyone else. Next-Level Clinic is worth it! At the beginning of the week, I thought that attending pre-conference was only beneficial for returners. But as the main conference came to a close, I realized how alone I felt last year as a first-timer attending and not knowing anyone else, though God did provide companions and encouragers eventually. With that said, I recommend first-timers go if they can! The smaller critique group setting will help you prepare for feedback on your pre-conference submissions, you will begin friendships with other writers that will help keep you connected through the duration, and you will never feel alone! Unexpected Expectations. Did I have high expectations going into the conference? Absolutely! Though growing relationships with other writers and writing mentors along with valuable feedback on my current writing projects far exceeded my goals – I suspected I’d get something I didn’t expect at all. And I did! When at least five different people sparked a conversation on a topic I hadn’t planned to discuss – and they all gave me the same feedback, I took that as advice I couldn’t ignore. A blessing in disguise for sure and something I had given back to God for his Divine timing, which makes it all the more exciting to see where it takes me! Nothing Compares to Nature. No matter how tired, I was determined to complete the hike up to the cross on Palm Sunday. On 4 1/2 hours sleep, I made the hike, and froze my fingers and toes to the point of pain, but wouldn’t take it back (or the fact I didn’t get the afternoon nap I’d counted on) for anything. As I hiked and talked with my newest writing friend, the lyrics from Chris Tomlin’s Captured ran through my mind. On the way down the hill, I played the song and am convinced he was inspired to write it on that very mountain. It was an awesome way to connect with our Creator and be in awe of how much he cares for each of us even amidst all the other glorious evidence of his artistic hand. Nerves are Normal. I confess that last year, I avoided sitting at some tables because I felt intimidated by certain staff, editors, or agents. This year, I decided I would sit at those tables if there was a seat available. For those of you who don’t know, during most meals at the conference, conferees have the opportunity to sit, chat, and eat with agents, editors, published authors and other staff members. It’s an opportunity not offered at most other (if any) writer’s conferences, so nerves aside, I would embrace it! Despite my body reacting in all the ways I hoped it wouldn’t, I mustered up the courage and did it. Regrets? None. And next year, I will make sure I sit at the tables I didn’t have the opportunity to sit at, as well as introduce myself again to those I met this year. The Key-Note Speakers Brought Confirmation. Mark Batterson reaffirmed the concept of writing to an audience of One. Stacy Hawkins Adams reminded me that giving my first book baby to the Lord also comes with a promise of many more book babies to come. Need I say more? A Writer Never Arrives. I’ve dedicated over thirteen years to learning the craft of writing, finding my unique author’s voice, and discovering the specific types of stories God has called me to write. Yet, I’m always learning more! I want to encourage all writers out there who aspire to attend Mount Hermon (or who did and perhaps walked away discouraged) — be teachable! There is a way to learn the ropes and the rules and NOT lose your unique writer’s voice. Be creative, write what’s on your heart, and then be willing to adjust it in order to reach your audience. Even if there doesn’t seem to be a place for your story today, that doesn’t mean there won’t be tomorrow. So keep writing, keep learning and keep praying God will guide you to the right agent, publisher, and most important – readers in His Divine and Perfect timing. As we learn to critique and encourage each other, let’s not forget what it was like to be new at this. Though I’m still learning, I desire to help others tell their story in the best and most effective way possible. So don’t give up! Eternal Friends and Writing Buddies. I’m thrilled beyond measure to be a part of such an amazing community of writers, editors, agents, and others who have embraced the privilege to reach others through their words! One final thought. I’d love to hear about your take-aways from this year or any other year you’ve attended Mount Hermon Christian Writer’s Conference. If you haven’t had a chance to attend yet, would you like to? Why? It sounds like it was a beneficial and somewhat enlightening experience for you. Reading your narrative, I confess that I do not understand #7. “Stacy Hawkins Adams reminded me that giving my first book baby to the Lord also comes with a promise of many more book babies to come. Need I say more?” Is your ‘first book baby’ referring to your first published works, colloquially calling it your ‘baby’ as in your masterpiece, your pride and joy? In what way did you give it to the Lord? If us lay folk are your audience, I’m afraid the answer is ‘yes’, you do need to say more. Regardless, kudos to you for pursuing your dream. You are so right! See, I’m always learning. Stacy had referred to 1 Samuel 1:22 and 21:21 where a woman named Hannah, after years of being barren, agreed to give her child back to the Lord’s service if God blessed her with a baby. The baby was Samuel and Hannah followed through with her promise. In return, God blessed her with many more children 🙂 For me, my first published book (25 years in process) didn’t get the success I thought it would, but I happily gave the work back to God as my offering. I also know I wouldn’t have completed it without God’s divine help. Regardless of the future potential for that book, I trusted He would bless many more future books from my hands, and Stacy’s words confirmed it. Ahh, I understand now. It was metaphorical rather than colloquial. Well, in that vein, may your Lord’s favor grant you the literary returns akin to Hannah’s fortune.